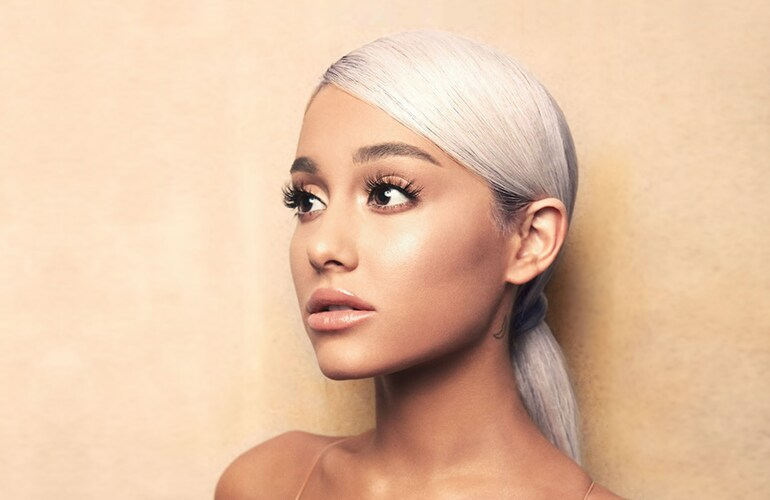 T-Mobile is sponsoring the Ariana Grande Sweetener U.S. tour and unlocking unbeatable pit tickets at the pop icon’s sold-out concerts, nationwide – only for Un-carrier customers! And, T-Mobile has an inside peek behind the scenes on tour, so watch the @TMobile social platforms for exclusive photos and videos. T-Mobile thinks every customer deserves #RockStarStatus. Thanks to a deal with Live Nation and new partnership with Ariana Grande, T-Mobile shows up with another *major* perk for music fans, just for being with the Un-carrier. Un-carrier customers who wanna get right up close and personal with the 2018 Billboard Woman of the Year and Spotify’s most-streamed female artist of the year. Bellevue, Washington — February 12, 2019 — Thank u, next. Today, T-Mobile (NASDAQ: TMUS) announced they’re sponsoring the Ariana Grande Sweetener U.S. tour and bringing incredible concert exclusives to Un-carrier customers! As part of that collab, T-Mobile also announced the next sweet deal thanking Un-carrier customers just for being customers: exclusive stage-front tickets at her sold-out concerts nationwide. It’s Ariana Grande, a catwalk, a stage, and you, right…up…front. Your Instagram’s never gonna look better. Since T-Mobile Tuesdays launched in 2016, Un-carrier customers have snagged over 205 million fun freebies and deals, including free Taco Bell tacos every week, Lyft rides, Pandora Plus, Dunkin credit, Redbox rentals, Atom movie tickets, Live Nation concert tickets, Shell gasoline, and more…just for being T-Mobile customers. That means you can get up to as much as $966 in free stuff and discounts a year for every T-Mobile ONE customer according to leading independent industry analysts. For more details visit: https://www.t-mobile.com/offers/t-mobile-tuesdays. And don’t forget to download the T-Mobile Tuesdays app for iOS or Android!